An image of Hungo Pavi, located in the central portion of Chaco Canyon. 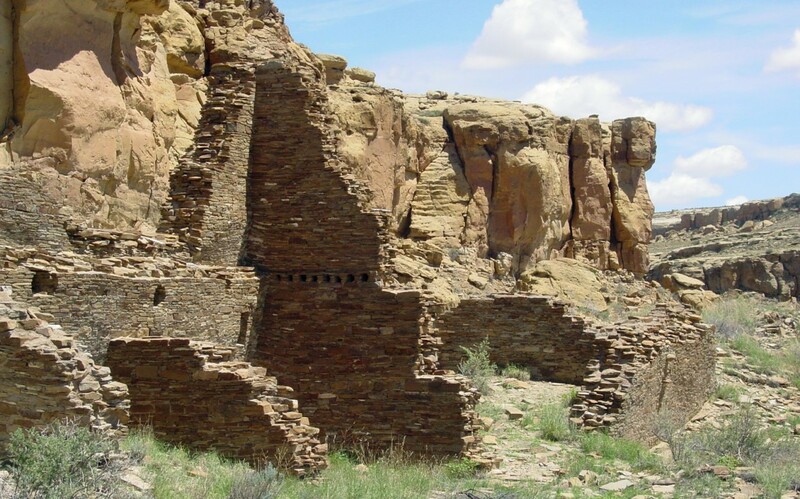 The Farmington Daily Times has the latest on tribal opposition to proposed oil and gas drilling near Chaco Canyon National Historical Park in northwestern New Mexico. Energy companies have nominated 38 oil and gas leases — totaling more than 19,000 acres — to the U.S. Bureau of Land Management for a January lease sale, according to the story. One of the parcels is less than a quarter-mile from the park’s boundary. “Oil and gas leasing and development on lands surrounding Chaco Canyon would ‘threaten the park and the greater Chaco landscape,’ Hopi Chairman LeRoy N. Shingoitewa said in an Aug. 16 letter to Sen. Tom Udall, D-N.M., Sen. Martin Heinrich, D-N.M. and Rep. Ben Ray Lujan, D-Nambé. A recent article in the Ruidoso News touches on the conservation efforts of Mescalero Apache youth, and the barriers they have to overcome when it comes to protecting special places.